Below you fill find all funeral homes and cemeteries in or near Memphis. Popular neighborhoods in Memphis include: Berclair, Central Gardens, Chickasaw Gardens, Cooper-Young, Douglas, Eads, Evergreen, Fisherville, Frayser, Harbor Town, Hickory Hill, High Point Terrace, Hollywood, Hyde Park, Lenox, Mud Island, Normal Station, Nutbush, Orange Mound, and Raleigh. Suburbs of Memphis: Gas and Water, Memphis Networks Dist Ctr, Natl Customer Support Ctr, Schering Plough Inc, Sharp Electronic Manufac, Suntrust Bank, Univ of Tn, University of Memphis, University of Tn, US Postal Inspect Srvc. Memphis is also known as: Shelby County / Memphis city. Their current mayor is Mayor A C Wharton. Zip codes in the city: 37501, 37544, 38101, 38103, 38104, 38105, 38106, 38107, 38108, 38109, 38111, 38112, 38113, 38114, 38115, 38116, 38117, 38118, 38119, 38120, 38122, 38124, 38125, 38126, 38127, 38128, 38130, 38131, 38132, 38133, 38134, 38135, 38136, 38137, 38138, 38139, 38141, 38145, 38147, 38148, 38150, 38151, 38152, 38157, 38159, 38161, 38163, 38166, 38167, 38168, 38173, 38174, 38175, 38177, 38181, 38182, 38183, 38184, 38186, 38187, 38188, 38190, 38193, 38194, 38197. Shelby County funeral flowers can be purchased from one of the local funeral shops we partner with. There are currently 48 funeral options for this city. Memphis has been featured in films like: Black Snake Moan (2006), The Watermelon (2008), and A Fine Step (2011). Some of the notable people born here have been: Michael A. Baker (astronaut), Chris Parnell (actor and comedian), Ben Browder (actor and screenwriter), Kali Rocha (actor and voice actor), Chris Bell (singer and musician), Vicellous Reon Shannon (actor), and Lisa Marie Presley (singer-songwriter). Memphis is home to the following sports teams: Memphis Grizzlies and Memphis Tigers men's basketball. Memphis is a city in the southwestern corner of the U.S. state of Tennessee and the county seat of Shelby County. The city is located on the fourth Chickasaw Bluff, south of the confluence of the Wolf and Mississippi rivers.Memphis had a population of 653,450 in 2013, making it the largest city in the state of Tennessee, the largest city on the Mississippi River, the third largest in the greater Southeastern United States, and the 23rd largest in the United States.The greater Memphis metropolitan area, including adjacent counties in Mississippi and Arkansas, had a 2010 population of 1,316,100. This makes Memphis the second-largest metropolitan area in Tennessee, surpassed by metropolitan Nashville.Memphis is the youngest of Tennessee's major cities, founded in 1819 as a planned city by a group of wealthy Americans including judge John Overton and future president Andrew Jackson. A resident of Memphis is referred to as a Memphian, and the Memphis region is known, particularly to media outlets, as "Memphis & the Mid-South". It was reported on March 31st, 2019 that Trudy W Pearson (Walker) passed on in Alexandria, Virginia. Ms. Pearson was 76 years old and was born in Memphis, TN. Send flowers to express your sorrow and honor Trudy W's life. It was noted on February 6th, 2019 that Lotus D Helm perished in Memphis, Tennessee. Helm was 93 years old and was born in Spivey, KS. Send flowers to express your sympathy and honor Lotus D's life. It was written on February 3rd, 2019 that Barbara Chauncey (Davis) perished in Bethesda, Maryland. Ms. Chauncey was 88 years old and was born in Memphis, TN. Send flowers to express your sympathy and honor Barbara's life. It was disclosed on February 2nd, 2019 that Harold F Richards perished in Memphis, Tennessee. Richards was 80 years old and was born in Lamar, WV. Send flowers to share your condolences and honor Harold F's life. It was disclosed by South West Times Record on January 22nd, 2019 that Gary Sr Forrest died in Ft Smith, Arkansas. Forrest was 69 years old and was born in Memphis, TN. Send flowers to express your sympathy and honor Gary Sr's life. It was reported by Cincinnati Enquirer and Cincinnati Post on January 11th, 2019 that Margaret Grace (Holdford) passed away in Cincinnati, Ohio. Ms. Grace was 93 years old and was born in Memphis, TN. Send flowers to express your sorrow and honor Margaret's life. It was revealed by Peoria Journal Star on December 29th, 2018 that William "Gary" Edwards died in Eureka, Illinois. Edwards was 68 years old and was born in Memphis, TN. Send flowers to express your sympathy and honor William "Gary"'s life. It was disclosed by The Commercial Appeal on December 26th, 2018 that Elise Mae Enix (Fretwell) died in Memphis, Tennessee. Ms. Enix was 93 years old and was born in Atlanta, GA. Send flowers to express your sorrow and honor Elise Mae's life. It was disclosed by The Commercial Appeal on December 20th, 2018 that Larry Lee passed away in Memphis, Tennessee. was 67 years old. Send flowers to express your sorrow and honor Larry Lee's life. It was written by The Commercial Appeal on December 20th, 2018 that Ralph Cornelius Jawaye Ingsterphillips passed away in Memphis, Tennessee. Ingsterphillips was 75 years old. Send flowers to express your sorrow and honor Ralph Cornelius Jawaye's life. Memphis funeral homes are plenty, so how do you find the right one? Browse below for funeral homes near your location, or broaden your search to find one outside of Memphis. iMortuary allows you to send flowers to any funeral home on our site so you can show your friends and family you care through a funeral arrangement. We can also help with Memphis funeral planning, finding cremation providers or many other funeral services. Its important to find the correct Memphis funeral home, make the process easy and convenient with by searching below. Conjuring music from blues, bluegrass, country and jazz, Memphis Tennessee is considered by some to share the title of musical capital of the US with its neighboring city. The second largest metropolitan area in Tennessee, Memphis is close to the confluence of the Mississippi and Wolf Rivers. Known as the Mid-South by media, Memphis is north of what most consider the South. 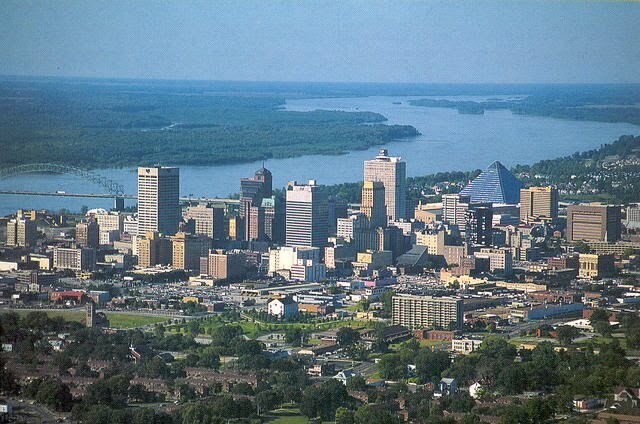 The city of Memphis is located on top of four aquifers which sustain the more than half million residents. The official website for the city of Memphis is https://www.memphistn.gov/. (Kevin) Williams of Memphis, TN, Tiffany Washington of Natchez ... Visitation at 8:00am until service. D.W. Rhodes Funeral Home, 3933 Washington Ave. Rev. Keith Stewman, Officiating. Burial New Beginning Cemetery, Natchez, MS.
A memorial service for Bell will be held at MSU tonight, with the funeral set for Saturday in Birmingham ... Louisiana-Lafayette 10; Tennessee (-19) 38, Memphis 13; Georgia (no line) 48, Idaho State 6; Kentucky (no line) 45, Charleston Southern 7. Listing all funeral homes in Memphis, Tennessee so you can easily send flowers to any location (same day delivery) or find any funeral service. We work with local florists and flower shops to offer same day delivery. You will find budget sympathy flowers in Memphis here. Our funeral flowers are cheap in price but not in value.